All McMullen & Wing yachts for sale worldwide are listed below, scroll down to view them. The New Zealand shipyard, McMullen & Wing, has certainly kept up with its country’s heritage of yachting. Their course in yacht building has progressed to accommodate each tendency of New Zealand culture. 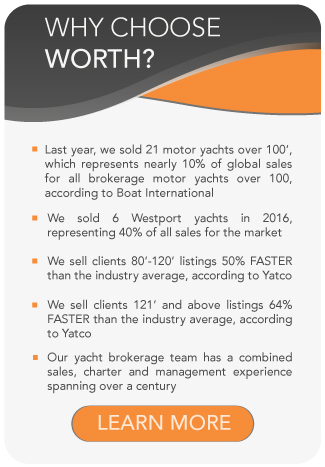 From innovative local boats, International Sailing Races and Regattas (One Ton Cup, Whitbread Round the World Race, America’s Cup), global exploring yachts, fishing crafts and superyacht refits, to world class luxury motor yachts. Located in Auckland, “The City of Sails”, McMullen & Wing builds yachts up to 164feet / 55 meters (up to present time) known for their reliability and longevity. Chris McMullen and Eric Wing started building steel hull boats in 1969 at the present yard location on the banks of the Tamaki River in Auckland. The 1970’s was the era of a number of successful racing yacht builds for McMullen and Wing, including the Wai-Aniwa, winner of the 1972 One Ton Cup in Sydney, Australia. New Zealand’s first ocean racing maxi yacht, Ceramco, was built in 1981 by McMullen & Wing for Peter Blake’s Whitbread Round the World Race attempt. Ceramco was one of many boat building projects undertaken by McMullen & Wing for Sir Peter Blake, including the modification of round the world sailing catamaran Enza and culminating in the victorious America’s Cup champion racers of 1995 with racing yacht Black Magic. In 1985, the company won the contract to build the first 3 composite-hulled 12-metre racing yachts for the 1987 America’s Cup Challenge. In 1986 the company was purchased by two brothers, David and Terry Porter. The Porters expanded operations towards refits, the construction of Superyachts, large Sportfish vessels, and custom designed high performance inflatables (RIBs). In 1987, New Zealand went all the way to the Louis Vuitton Finals – an outstanding debut for the world’s first fiberglass 39foot / 12meter yachts constructed at McMullen & Wing. The famous the 171foot / 52meter three-masted schooner, Shenandoah, arrived in Auckland in 1994 to get a much needed full restoration by McMullen & Wing. Shenandoah won the award for best refit at the 1998 International Superyacht Society Awards. In 1999, the 79foot / 24meter Day Money (now Big Easy) was the first of four sportfish yachts built by McMullen and Wing. Day Money was honored as a finalist in the International Superyacht Society awards in 2000 and the 79foot / 24meter Dreamin’ On (now Snowgoose) sportfisher was a finalist in the International Superyacht Society awards in 2001. The same year, McMullen & Wing built the 115foot / 35meter steel/aluminum expedition motor yacht Surprise, designed by Ward Setzer for Pacific cruising. Surprise won the International Superyacht Society award for best motor yacht in her length category. The advanced composite yacht fisherman, Mea Culpa (131feet / 40meters), was launched in 2003 by McMullen & Wing. Executed to the highest standards in advanced composite materials to a design by Jack Sarin and Associates, Mea Culpa travelled the globe, fulfilling her owner’s dream of enjoying the abundance of the world’s greatest recreational fishing grounds with an active catch-and-release fishing program. The same year, the 115foot / 35meter performance aluminum sailing yacht Ipanema (designed by German Frers) won the Millennium Cup in superyacht regatta in Auckland only days after launching. In 2005, the 82foot / 25meter, 40+ knots water jet powered motor yacht Jariya (now called Elielle) was built by McMullen & Wing to a design by Michael Peters Yacht Design and interior design by J.C. Espinosa. Jariya won the International Superyacht Society Award for best motoryacht in her length range. In 2006 McMullen & Wing began to design and build a line of production tenders. 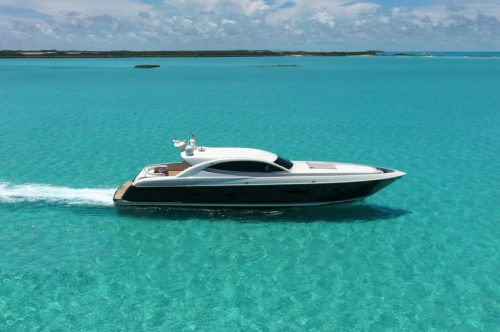 This launched yet another lofty addition to their diverse portfolio and the company is now well known to be the builder to see for custom tenders to match custom superyachts. Built in 2007, the 121foot / 37meter ultra high-speed carbon fiber luxury motor yacht, Ermis 2 still remains one of the top ten fastest motor yachts ever built in the world, with a top speed of nearly 60 knots. Naval architecture and interior design was by Humphreys Yacht Design. Ermis 2 was honored by the International Superyacht Society as the best motor yacht in her length category. The internationally acclaimed Big Fish (148foot / 45meter), a steel/aluminum luxury expedition motor yacht, was built in 2010. Big Fish received numerous prestigious awards, including the International Superyacht Society award for best motor yacht in her length category, Showboats International Design Award for Naval Architecture, World Yachts Trophy for Innovation, Asian Boating Award for Innovation and a judges’ special commendation for best yacht at the World Superyacht Awards. 2016 has seen McMullen & Wing’s largest yacht launched on their slipway – the 164foot / 50meter Y/N 1016 luxury expedition motor yacht. McMullen & Wing is an advanced composite builder, an aluminum yacht builder and a steel ship builder, all wrapped into one. Their facilities are located on the banks of the Tamaki River in Auckland New Zealand with deep water access leading directly to Auckland’s Waitemata Harbor. With five construction halls in four separate buildings, plus full engineering, electrical and joinery workshops, design office and administration block, they have ample facilities to accommodate their projects. As all facilities occupy the same site, communication flow remains simple and client visits can encompass the whole project within a time efficient schedule. The shipyard has recently developed three new ranges of fully custom yachts between 44 and 58 meters. The FLOW Series is designed by Vripack and consists of two types, 144feet / 44meters and 167feet / 51meters. The Blade Series designed by H2 Yacht Design has three types 171feet / 52meters (5 cabins), 171feet / 52meters (6 cabins) and 190feet / 58meters. The Diamond Series, designed by Gregory C Marshall consists of the 131feet / 40meters, 148feet / 45meters, 164feet / 50meters and 180feet / 55meters yachts.